Focus RS: All-wheel drive excites fans. COLOGNE, Germany -- Increased speed and performance is the new mantra at Ford Motor Co. as the company scrambles to differentiate itself from rivals. 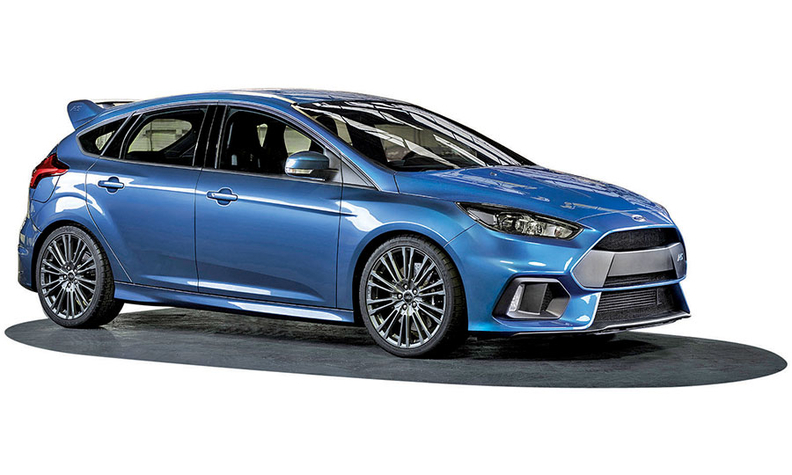 "You're going to see a lot more use of the racetrack as our laboratory and test bed," Dave Pericak, head of Ford Performance, told Automotive News last month here at the global launch of the new division's Focus RS hatchback. Ford Performance was formed at the end of last year by combining Ford's Special Vehicle Team in North America, Team RS in Europe and global Ford Racing operation. "We were confusing customers," Pericak said. "By putting them all under one umbrella, we're going to be much more efficient." The new division made a resounding impact in January at the Detroit auto show with the surprise unveiling of the V-6 EcoBoost-powered GT supercar, one of 12 global performance vehicles it says it plans to launch by 2020, including the Mustang Shelby GT 350 and GT 350R, Focus ST, Focus RS and F-150 Raptor. High-powered special vehicles have a long history at Ford but this time it's different, said Ford of Europe chief Jim Farley. "Performance is a more complete idea," he told Automotive News at the RS unveiling. "People will think about Ford differently than just a commodity. We are not a commodity brand." The brand polishing will be particularly welcome in Europe, where Ford continues to be unprofitable. The Focus RS, which comes to the U.S for the first time when it launches at year end, will be powered by a version of the 2.3-liter EcoBoost turbo engine used in the Mustang but making "well in excess of" 320 hp. But what really caused excitement among hard-core European fans was that it uses all-wheel drive for the first time since the initial Focus RS appeared in 2002. The awd system includes a "dynamic torque vectoring" system supplied by Britain's GKN Driveline that can push 100 percent of the rear-directed power to either wheel to improve cornering ability. It is similar to the torque vectoring system used on top-end Range Rovers. "This is absolutely going to raise the chinning bar on performance," said Pericak, who named the Volkswagen Golf R as one of the cars Ford benchmarked. Under the new Ford Performance philosophy, the torque vectoring system and improved 2.3-liter turbocharged engine also will be used in other models. "All of this work in some way, shape or form we intend to wrap up in a package down the road in other projects," Pericak said. The performance cars might act as halo products for the brand, but the intention is that they're profitable in their own right. "These are not small experiments. These are significant businesses," said Farley, also referring to Ford's upmarket Vignale trim level that debuts this year in Europe in the Mondeo midsize sedan. Since 2009, the market for performance models ranging from hot hatches to extreme pickups has grown 70 percent in the U.S. and 14 percent in Europe, Ford said without giving figures. Ford said it sold around 10,000 of the previous-generation Focus RS in Europe. It didn't predict a figure for the new car, which Ford says will be sold globally. U.S customers will be blown away by the RS's performance, said Raj Nair, Ford's global product development chief. At the reveal, he told Automotive News: "They know speed, but they're going to be surprised by the sophistication of the awd system, by the cornering ability, by the tractive ability and by the fact they are going to be able to use it every day."